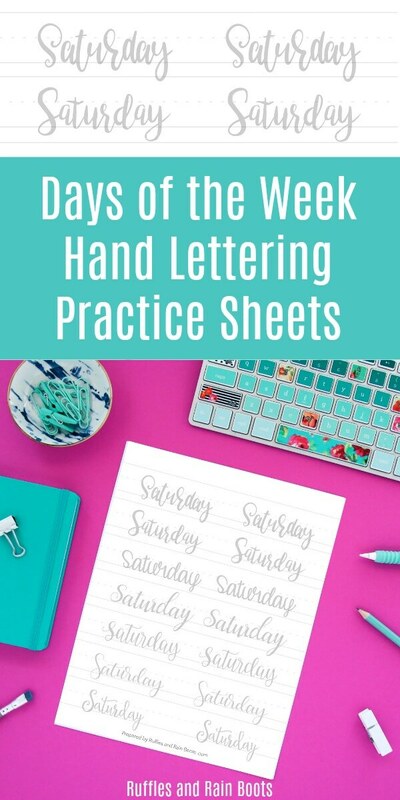 Get your free days of the week hand lettering practice sheets in modern calligraphy, brush, bounce, and small and large pen styles. Yep, all that’s included so let’s get started! I needed to work on my lettering for December and thought, “Sarah, maybe others would like to work on lettering their months and days.” So, here we are. This set has 8 styles that you can print off as many times as you need. I need to practice December a lot because I’m working on a gift for a little one. Special Coupon – Keep It a Secret! If you want to check out the full set days of the week and months of the year set (and other items in our Ruffles and Rain Boots shop), grab the coupon for subscribers when you sign up to the weekly email. You guessed it – it’ll give you 30% off ANYTHING and EVERYTHING in the shop. We have hand lettering products, clipart, SVGs, coloring for kids, bookmarks… Just check it out and don’t forget that coupon. Psst: please keep it a secret. It’s only for those of you who have found us via Ruffles and Rain Boots. So how can you put all this practice to good use? Here are a few projects I’ve worked on using days of the week hand lettering. In order for you to access the days of the week hand lettering practice sheet, you’ll have to grab your password (shared in the newsletter) and click the link below. 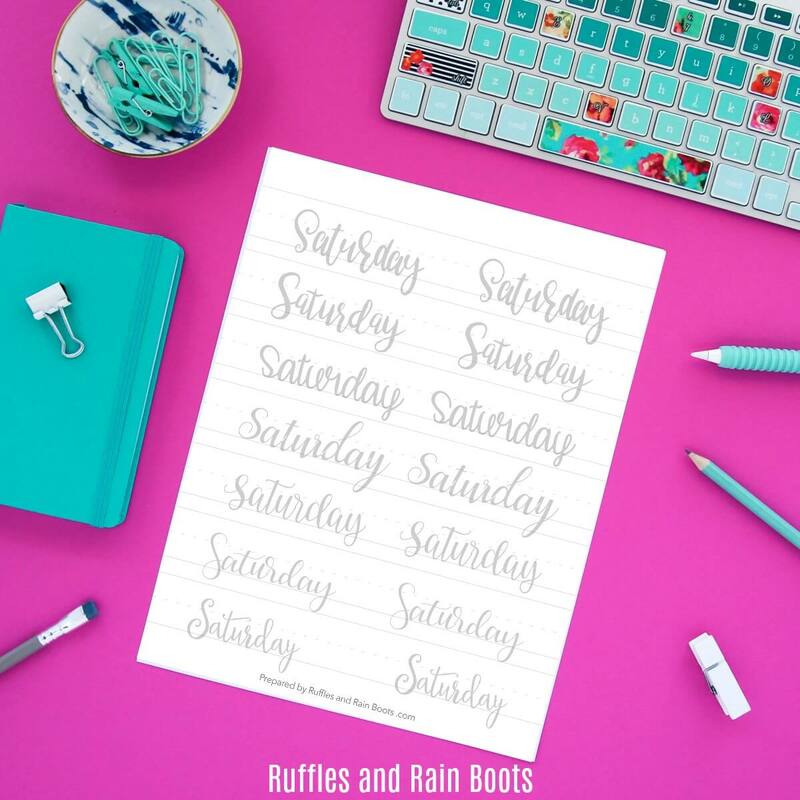 If you aren’t part of the group who gets the once-weekly newsletter from Ruffles and Rain Boots, sign up to get it here. We’ll only send one email a week and share all the fun stuff we’re up to here at the ‘Boots. For those of you with the password, get the Days of the Week Hand Lettering Practice here.